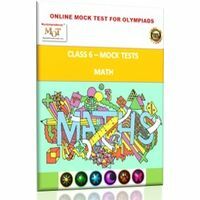 This online featured and mock tests are ideal for all kinds of Olympiads including NSO, IMO, NSTSE etc. The problems are screened for relevance to the actual exam pattern. A serious practice of these questions will give the student a thorough exposure to all relevant question types and topic areas. The course is subscription based (6 months) and, once subscribed, a student can take as many tests as he likes. The subscription gives a student access to a set of highly relevant and carefully screened question bank called Featured Tests and 220 plus other tests by various authors on the platform including the likes of McGraw Hill. The site also offers access to at least 5 Mock Tests in each category as well as previous year papers. TCY stepped into the world of education in the year 1998 with a dream to redefine it in terms of Index of Human Fulfillment. TCY has since eclipsed the Goliaths and is today the fastest growing company in parallel education. This online featured and mock tests are ideal for all kinds of Olympiads including NSO, IMO, NSTSE etc. The problems are screened for relevance to the actual exam pattern. A serious practice of these questions will give the student a thorough exposure to all relevant question types and topic areas. The course is subscription based (6 months) and, once subscribed, a student can take as many tests as he likes. The subscription gives a student access to a set of highly relevant and carefully screened question bank called Featured Tests and 220 plus other tests by various authors on the platform including the likes of McGraw Hill. There are around 193Featured Tests and the list is ever growing The site also offers access to at least 5 Mock Tests in each category as well as previous year papers. Also, the following features with help your child's Olympiad exam preparation a winning edge: Track test-wise performance Get percentile and national ranking Know your strong and weak areas Get expert-recommended tests TCY stepped into the world of education in the year 1998 with a dream to redefine it in terms of Index of Human Fulfillment. TCY has since eclipsed the Goliaths and is today the fastest growing company in parallel education.